The Euros kick off this week and I for one am very, very excited! It’s a mixture of expectation (for us to go out at the group stages… again), sympathy (for the wife), and happiness that a whole month of football lays ahead! I am sure everyone has seen the football themed adverts, the new packaging designs of football themed gifts, websites with banner ads screaming out at us to buy this, buy that – it all adds to the build up and anticipation. None of this quite does it for me though – I am not big on merchandise, and I like to think I am not easily fooled by advertising. 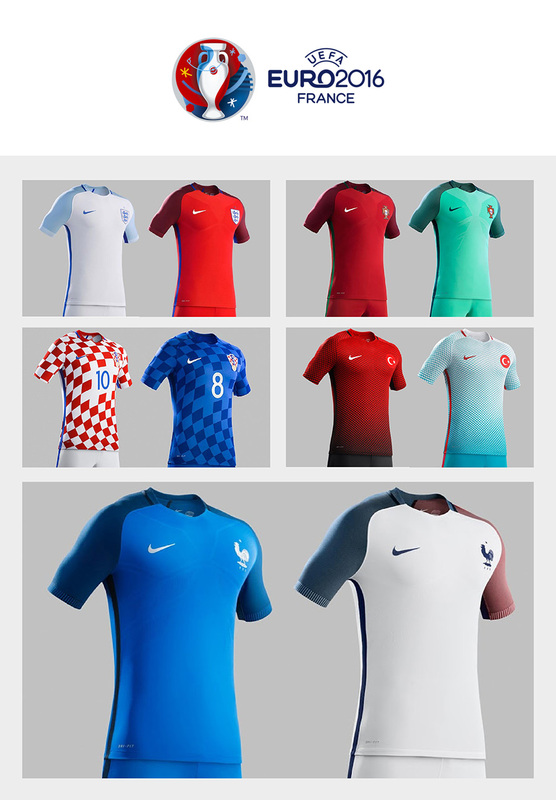 That is except for the release of all the new football shirts! In reality it is disgraceful that team kits go out of date quicker than the milk in my fridge, BUT they can be wonderful pieces of design, and great to look at. One of my favourite things about any sporting event -especially football events – are the wonderful array of colours that each nation brings to the party. Designs can be hit or miss, but the colours are wonderful. Each devoid of sponsors or brand logos, just wonderfully simple (most of the time!) pieces of high tech design… which brings me to my list. 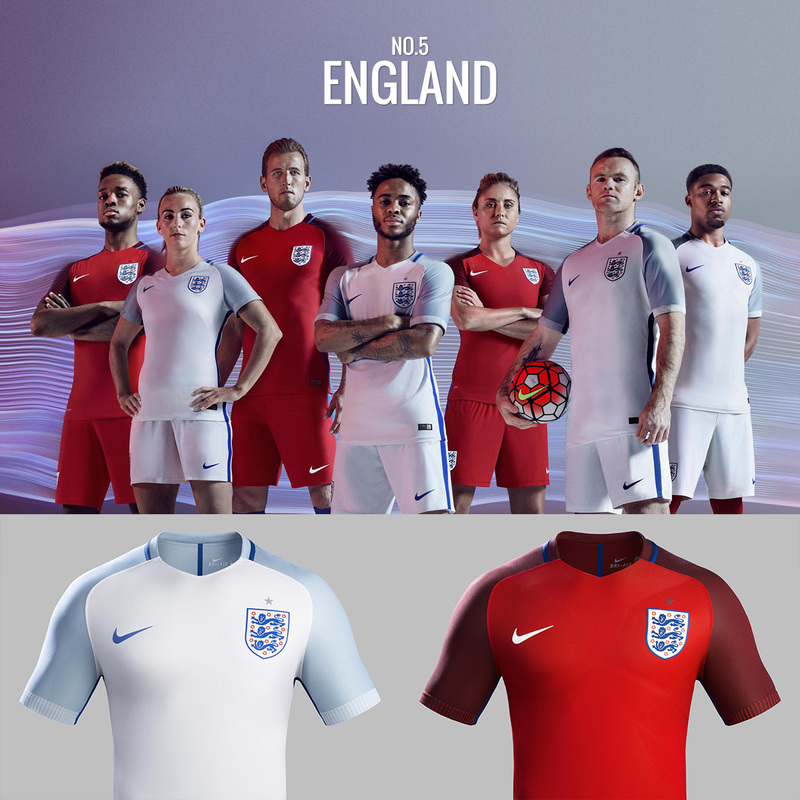 Below I have listed my top 5 team kits for Euro2016. Now, you will notice they are all Nike, and to be fair they have not put a foot wrong. 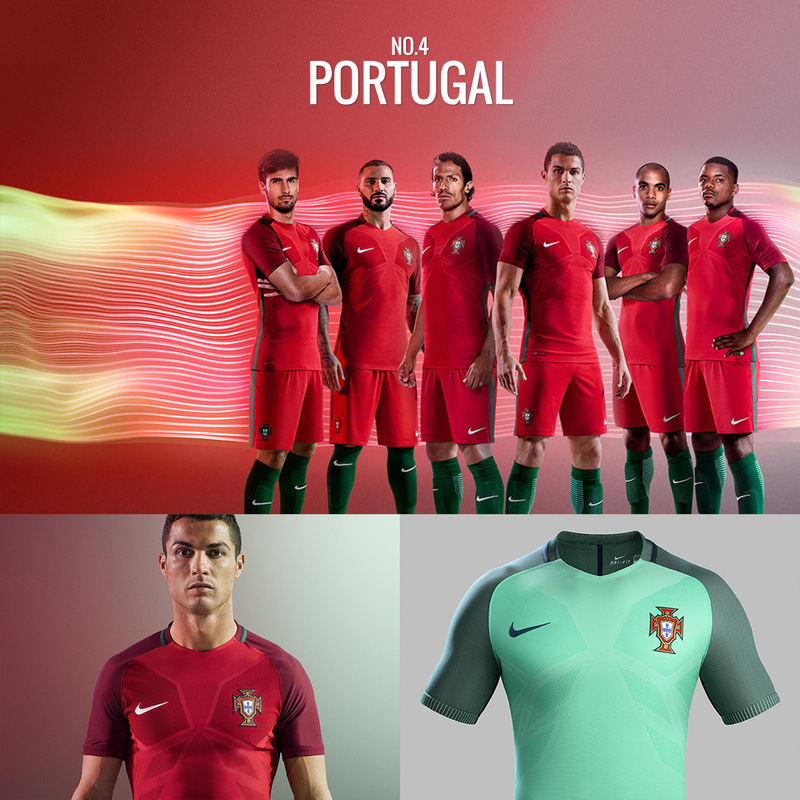 Some of the Puma and Adidas kits were a little odd (Spain away, Russia home and away – check them out!) and some were plain boring from a design point of view (sorry Wales). 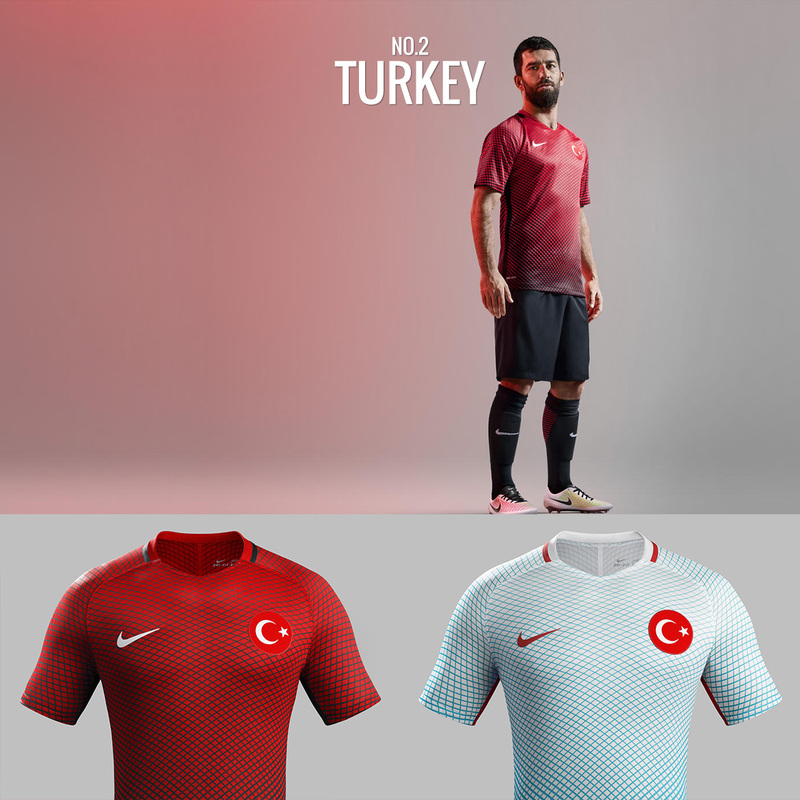 I am a massive fan of anything Nike do, and these 5 sets of kits (home and away) are simply beautiful! Not a massive fan of the blue but love the clean lines of the design. 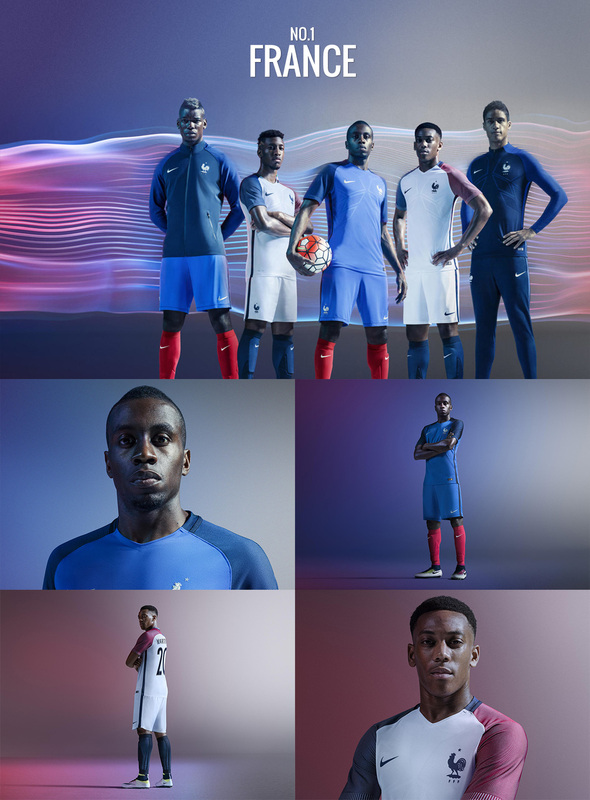 That away kit is amazing, very vibrant and it really adds something to the clean design Nike created. One of the most instantly recognisable designs every tournament. 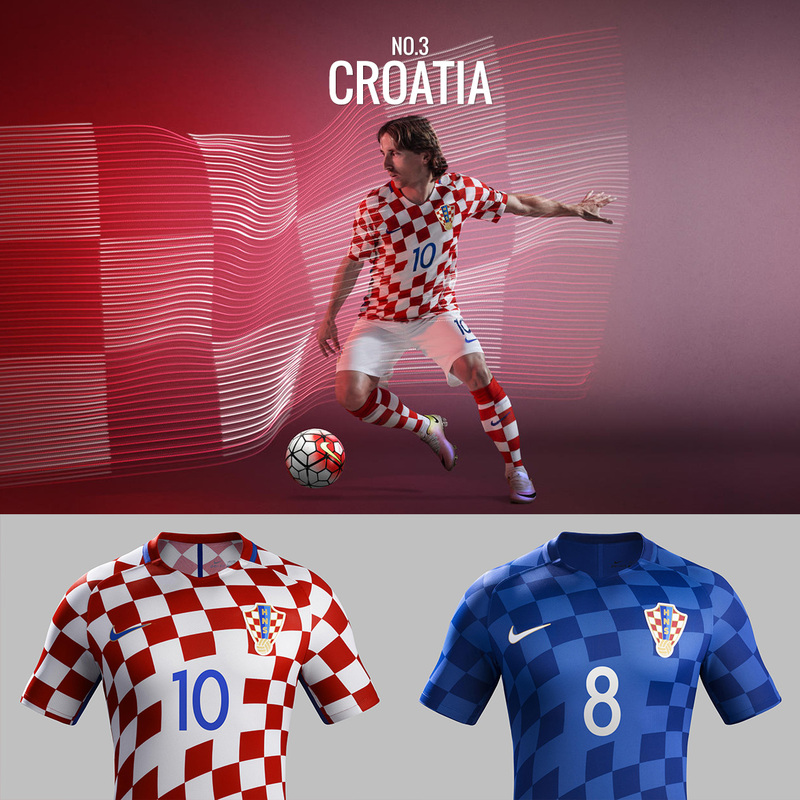 They can sometimes look a little odd but Nike have really nailed this design! Easily the most intricate design – just love this look and can not decide between the home or away version. The host nation. Just a lovely, simple, clean design – and the away kit is probably the nicest of the lot. I love the use of colours on the sleeves. That leaves me with a predictable prediction. Germany will win the tournament, beating France 2-0 in the final! You heard it here first. 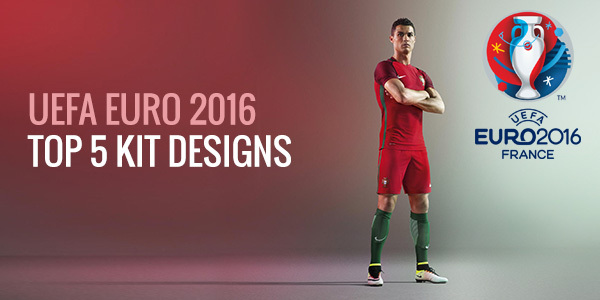 Don’t forget to also check out our FREE vector download containing all the UEFA Euro 2016 Football Kits!